The holiday table traditionally focuses on ham, turkey or beef brisket as the star of the dinner show. While we’re big fans of a perfect honey-glazed ham, the latest trends seems to focus less on the ‘star’ and more on the ‘supporting role’: the side dish. 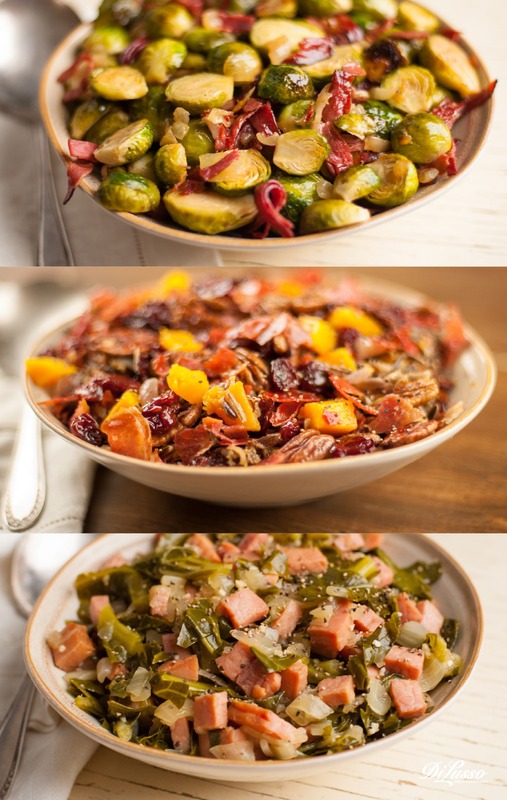 At Thanksgiving time, we offered unique stuffing recipes that may very well have taken the spot- light away from your Thanksgiving turkey. 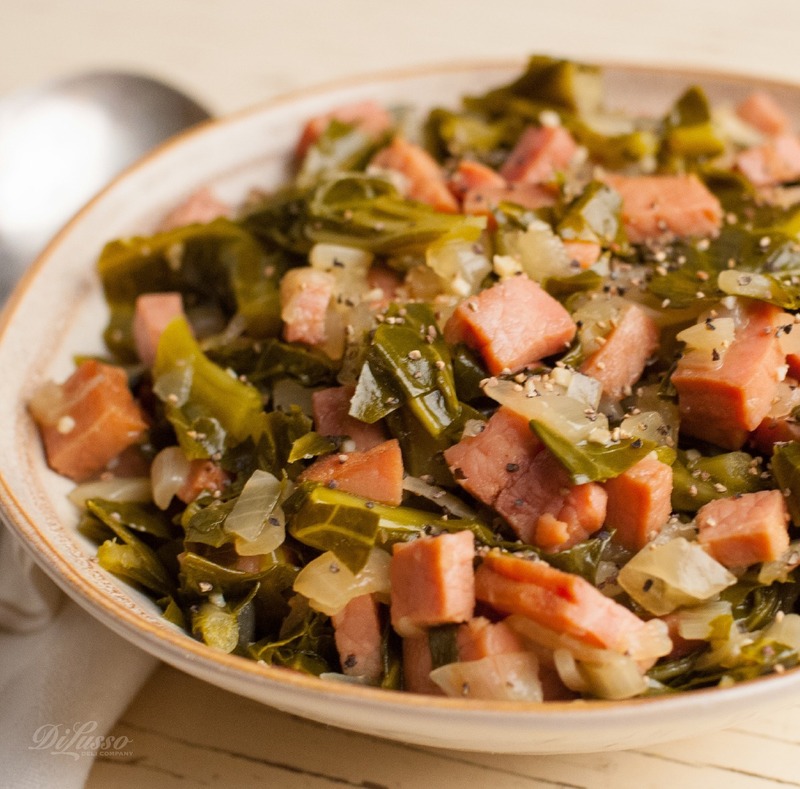 Here are a few more side dishes with serious star power. Wild rice dishes are traditional in the upper Midwest, where the rice grows wild on the lakes and rivers. An ancient Native American grain, the very best rice is hand-harvested and wood-parched in small batches. 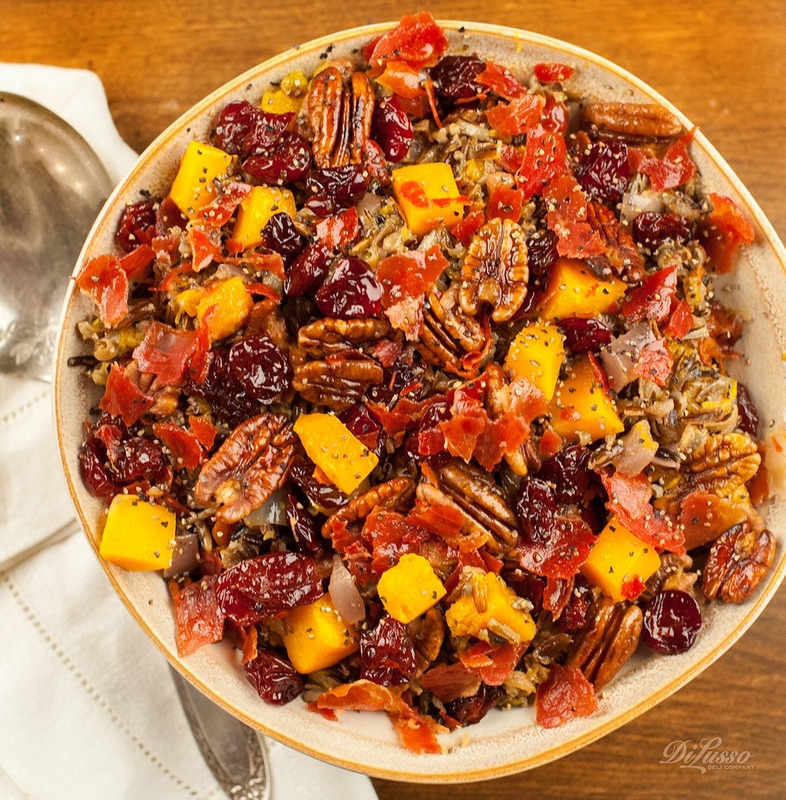 This northern recipe combines the sweet flavor of dried cherries and butternut squash with the savory crunch of crispy prosciutto. We hope this northern favorite becomes a new favorite tradition! 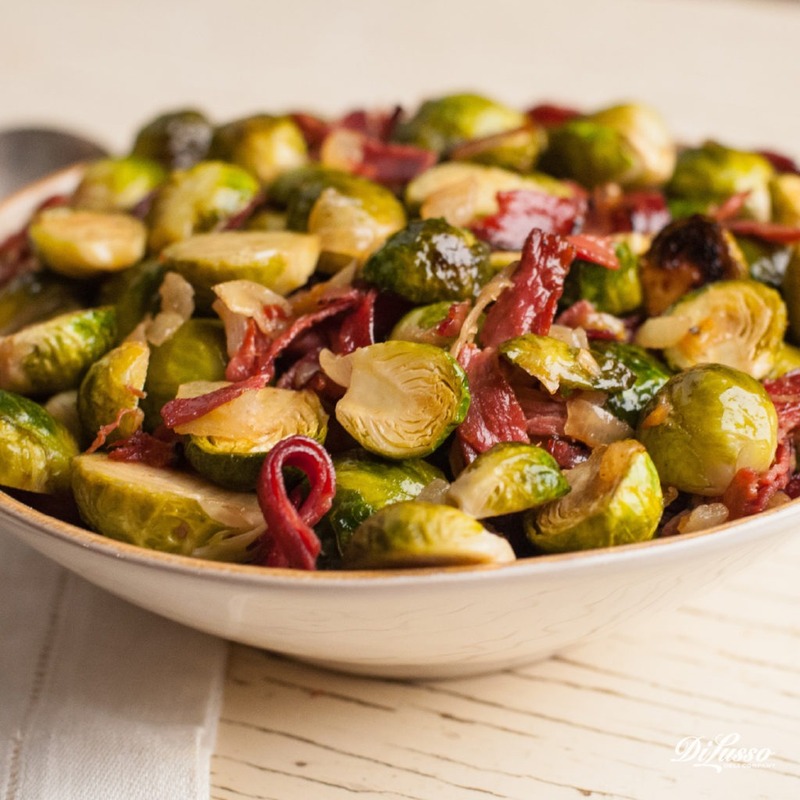 You may have noticed Brussels sprouts trending lately on restaurant menus across the country. For good reason: they’re deliciously addictive! This recipe combines tender Brussels sprouts with semisweet caramelized onions, tangy balsamic vinegar and our peppery pastrami. Enjoy! Add a little Southern charm to your holiday table. This traditional southern dish is often made with collard greens or mustard greens. To leave room in your oven for other dishes and to help keep prep at a minimum, we made these greens in a slow cooker. It’s a delicious side that could very well steal the dinner show.